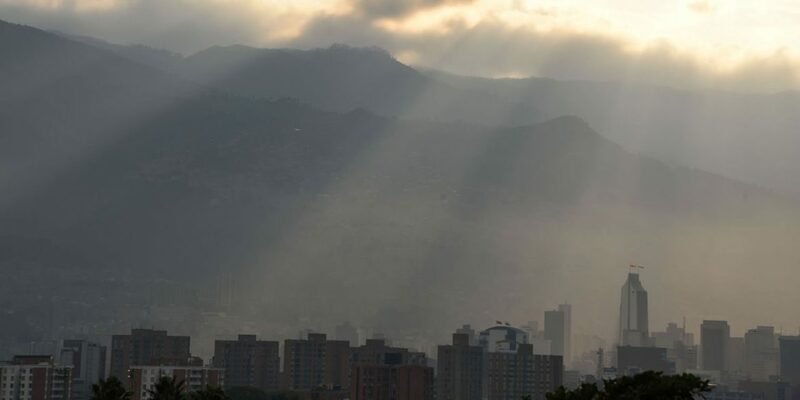 Medellin authorities on Sunday declared a red alert for the second time in two weeks over the health hazards caused by extreme pollution. The red alert triggered a number of emergency measures, most notably a rush hour ban on half of the city’s motorized vehicles, in all 10 municipalities that make up the Medellin Metropolitan Area. According to SIATA, the system measuring air quality in the metropolitan area, 14 of the 19 air quality measuring systems turned to red on Sunday, a day on which there is least traffic traditionally. The emergency measures will last at least until Wednesday in an attempt to improve the air quality to the point that breathing stops being a health hazard. The pollution is mainly due to a growth in the use of cars that are fueled by the substandard gasoline provided by state-run oil company Ecopetrol. The company has refused to improve its filtering systems, claiming that they comply with government regulations. This situation caused by the pollution is aggravated on days when there is no rain or wind to disperse the sulfur particles produced by the burning of Ecopetrol’s gasoline. Instead of promoting a change in legislation that would obligate Ecopetrol to produce gasoline that would comply with pollution standards applied in the United States and Europe, Medellin authorities discouraged all sporting activity and canceled Sunday’s “cicloruta” that clears many of the city’s roads to promote the use of bicycles. Authorities on Wednesday will decide whether to lift the emergency measures or to extend them.